Fostered with enormous business understanding of this realm, we are involved in presenting a broad consignment of Streem Beach. Backed by a rich industrial experience, we have come up with a world class assortment of Steam Beach Wood. Sturdy in nature; these are processed with extreme care and flawlessness. Moreover, these are verified to retain its faultlessness. In addition to this, these are offered to our patrons at reasonable rates. 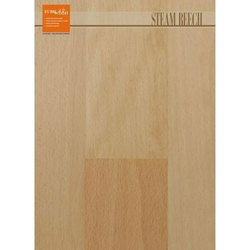 We are the leading company feel immense pleasure to offer our Steam Beech Wood. These products are made up of high-quality wood ensures long durability and lasting. It can be used in making tables and other furniture. Our high-value customer can get this in different shapes and sizes. M/s. Chheda International P. Ltd. Deep Reddish pink in colour ray tissue showing as small spindle shaped Grains on flat surface highly used for decorative furniture and Interior Joinery, and Constructions. Teak Wood and Steam Beech tray with 100% fruit & vegetable extract organic finish. Intricate pattern engraved on base. We are renowned firm in the industry, offering the best quality array of Steamed Beech Wood to our esteemed customers. These products are made from high-quality components. 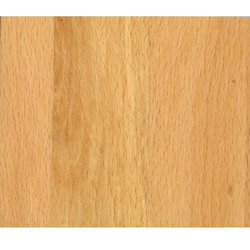 We offer top quality range of Steam Beech Woods at competitive rates. It is customized to standardize the color of the wood to make it uniform and it is blended to take various shapes according to your requirements. It has good working characteristics. It is readily available and affordable as well. Customers find excellence in the wood generally by it. a) General descriptionThe wood is reddish-brown in colour and of coarser quality. It has conspicuous rays and tiny pores, is straight grained with a fine, even texture.